Great Article! Everybody is asking for this! When I discuss with Bluemix application developers, I frequently hear about how to debug the application on Bluemix. There are several technique for it. One of the best known technique is probably to use cf-debug-tools written by Pivotal engineer. This tool opens a websocket connection between web browser and container, and it accept command. To be able to use this tool on Bluemix, web socket URL needs to be changed from “ws” to “wss”. I used Chrome browser to run it. Another promising way to debug Bluemix application is to use “Cloud Focker” from CloudCredo team ( https://github.com/CloudCredo/cloudfocker ). This project has just started, but I like this project from various view points. I can run the application in my local environment with less memory resource compared to 1VM Cloud Foundry (Bosh-lite). I can try new buildpack, and potentially debug the buildpack itself. This time I want to discuss Cloud integration which is a service available in Bluemix. I want to give you a brief overview of Cloud Integration, what it is and how you set it up. You need a Bluemix account, you can get it here for free: http://www.bluemix.net. If you want to continue using this Cloud Integration service there is some great documentation available here. My article is based on that. What is Cloud Integration for Bluemix? IBM® Bluemix is the new Platform-as-a-Service (PaaS) offering, built on Cloud Foundry open source technology. Bluemix is an open platform for developing and deploying mobile and Web applications. Bluemix provides a broad set of services and runtimes that gives the integration developer control and flexibility to build an application. IBM® Cloud Integration for Bluemix service enables you to integrate cloud services with enterprise systems of record. This service exposes the backend systems of record as ReST APIs to be used by applications. Cloud Integration for Bluemix enables you to integrate cloud and on-premise applications. The cloud code leverages the Cloud Integration service to interact with the backend databases such as DB2, Oracle, and SAP to create database APIs. If you are logging on to Bluemix for the first time, before you proceed with creating a Cloud Integration service, you must connect to an add-on service. From the IBM Bluemix dashboard, click the Connect an Add-On link. The Add-Ons tiles are displayed on the Add-Ons page. Click the Cloud Integration add-on tile. The Cloud Integration Pick a Plan page displays the Plan, Features, and the Price for the add-on service. Select the App and Selected Plan and click Create. You have successfully connected to the Cloud Integration add-on. Before you begin exploring the Cloud Integration add-on service, you must ensure that you have the required secure connections and that you have created integrations. Once these two are in place, you can start creating Cloud Integration Enterprise APIs, Cast Iron Live Orchestration APIs, or Bluemix Apps APIs. In this blog article I want to describe how easy it is to get started with Java and Cloudant. If you follow this tutorial, you have a running application in a few minutes. This application demonstrates how to use the Cloudant NoSQL DB service, with the ‘Liberty for Java™’ runtime on IBM Cloud. Liberty for Java™ applications on IBM® Bluemix™ are powered by the IBM WebSphere® Liberty Buildpack. The Liberty profile is a highly composable, fast-to-start, dynamic application server runtime environment. It is part of IBM WebSphere Application Server v8.5.5. This buildpack provides a container for web and OSGi applications with Java EE Web Profile capabilities, supports popular frameworks like Spring, and includes IBM JRE. WebSphere Liberty enables rapid application development that is well suited to the cloud. The Liberty for Java Starter Application is a boilerplate, which can be found here, for Bluemix Liberty for Java application development. The WebSphere Application Server Liberty Profile is the container for this type of application. It demonstrates how to develop and deploy a Liberty for Java application for Bluemix. Bluemix provides a Liberty for Java Starter Application as a template so that you can add your code and push the changes back to the Bluemix environment. Create a Liberty for Java Starter Application and download the starter code. Click Create App to deploy a Liberty for Java Starter Application. Provide the App name and Host in the prompt. After the application deploys, click the settings icon and choose View Quick Start. Download the starter application package. Ensure that the cf command-line tool is installed. This tool is a command-line interface for application deployment and management on Bluemix. Log in to the Bluemix environment. Modify the application and deploy again. In the starter application package, a README file describes each file. Make changes to the code, deploy the application again, then see the effect. After your application is deployed, open the URL in a browser to see it running. 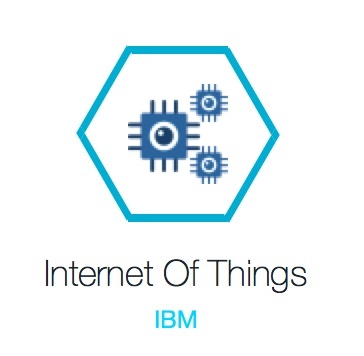 The first service “Internet of things” is provided by IBM and is still in Beta. But you can do nice things with it. This service isallowing Bluemix applications to access device data simply and swiftly. Build apps for a smarter planet! You can pick one of the recipes to connect a real physical device to the Internet of Things. In the future there will be new device recipes over time, but if you’ve got your own device there’s nothing to stop you improvising with it! If you don’t want to use a physical device: Anything that can connect to the internet and send some data can be part of the Internet of Things. When you follow this link you will find a complete tutorial about how to connect your device. You can also simulate a device via this link. 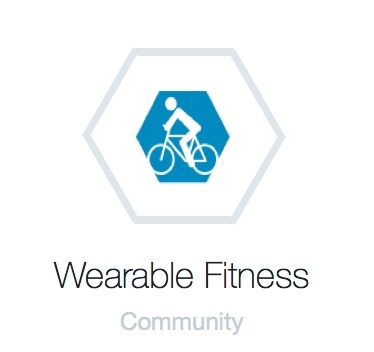 The second service I want to discuss is the Wearable Fitness. Use the IoT Labs Wearable Fitness Service to access your fitness device data. With this service, you can also query against anonymized public data. The endpoint provided by this service allows you to retrieve individual records, search among records, gather statics, and collect histograms. Here is something fun! Have a nice weekend! I’m a cool kinda person. I like developing and creating. I like to contemplate apps. My mind turns straight to Bluemix. Boom boom shake da boom-boom-boom! Do I love to compose with Bluemix? I like to use words for apps. I like to hang out with nodejs and php. I hate spending time and time. In this blog I collected some highlights of the BTT 2014 study. The whole study can be found here and this blog by Turbo Todd. In 2012 this study was conducted and now in 2014 a new study is done, and we see great differences. In the 2012 study, half or fewer had deployed these CAMS (Cloud, Big-Data and Analytics, Mobile and Social) technologies. Fast-forward two years and most piloting stages are long gone. Cloud, Big data and analytics,, mobile, and social are now each used by 7 in 10 enterprises. The majority of enterprises surveyed now use CAMS, and investment in these areas shows no sign of slowing. Pacesetters are maintaining their lead, even as these pivotal technologies have gone mainstream. About 9 in 10 say they are gaining competitive advantage from Big Data & Analytics, Cloud, Mobile, and Social. Since the 2012 Tech Trends study, Cloud has shifted dramatically toward deployment — growing by 92%. Seventy-five percent of enterprises now deploy Cloud, and forty percent deploy a significant range of Cloud capabilities. Just as crucially, Pacesetters report they are better at achieving key business objectives with Cloud. Since the 2012 Tech Trends study, Big Data & Analytics deployment has grown by 39%, with 40% now deploying a significant range of Big Data & Analytics solutions capabilities. Just as crucially, Pacesetters report they are better at achieving key business objectives with Big Data & Analytics. Since the 2012 Tech Trends study, Mobile has grown by 59%, with 78% of enterprises now deploying Mobile and 42% deploying a significant range of Mobile capabilities. Just as crucially, Pacesetters report they are better at achieving key business objectives with Mobile. Since the 2012 Tech Trends study, Social has shifted dramatically toward deployment — growing by 106%. Seventy percent of enterprises now deploy Social, and almost a third deploy a significant range of Social capabilities. Just as crucially, Pacesetters report they are better at achieving key business objectives with Social.